This sound sensor couples a small highly sensitive electret microphone with an LM386 op-amp with adjustable gain to detect ambient sound. 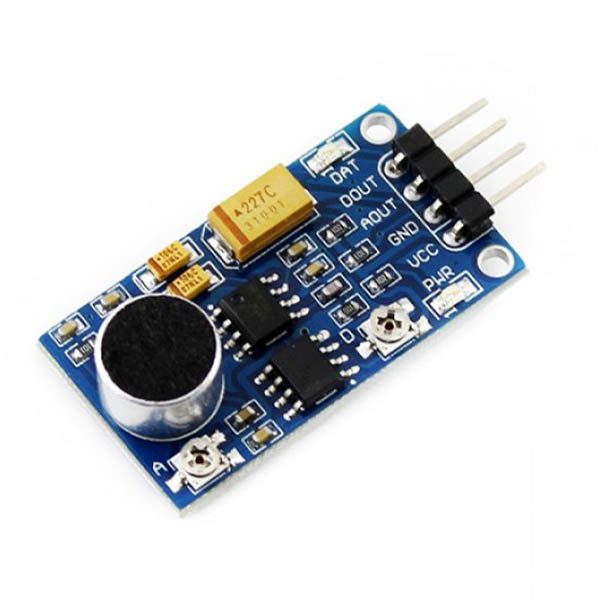 This sound sensor couples a small highly sensitive electret microphone with an LM386 op-amp to detect ambient sound, which is loud enough to be picked up by a microcontroller’s analog to digital converter. Aside the power and ground pins, it has two other pins, A0, which connects to an analog pin of your microcontroller and D0 which connects to a digital pin.